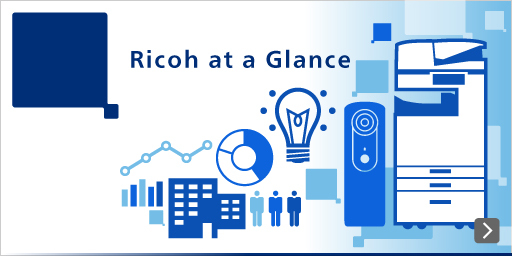 The Ricoh Way encompasses the Spirit of Three Loves of founder Kiyoshi Ichimura and Ricoh's Mission, Vision, and Values, and guides our efforts to pursue sustainable growth and build corporate value over the medium and long terms. To that end, we engage energetically and constructively with shareholders, other investors, and other capital market participants. We maintain a cycle in which we reflect feedback from those stakeholders in our activities to cultivate trust through mutual understanding. In operating based on that cycle, we endeavor to innovate and deliver value that is useful for everyone, everywhere, helping to enhance their lifestyles and create social sustainability while increasing medium- and long-term corporate value. We aim to engage efficiently in timely and fair-minded dialogue with the capital markets by maintaining a clear structure and stance with respect to our policy on handling our own information and engagement. We disclose information in a timely manner in keeping with the Financial Instruments and Exchange Act and other related regulations and the rules of stock exchanges on which its securities are listed. Through our website and other channels, we swiftly disclose facts that could materially affect the investment decisions of shareholders and other investors even when such regulations and rules do not require it to do so. This policy encompasses the disclosure of financial information, medium-term management strategies, results backgrounds and analyses, as well as environmental, social, and other non-financial information that helps deepen understanding of Ricoh. We use dialogue, briefings, our website, our publications, and other tools in striving to bolster voluntary disclosure. We maintain the following internal structure to ensure appropriate disclosure, and will accordingly keep enhancing relevant systems. We maintain policies to disclose accurate, timely, and fair information. The chief financial officer (CFO) is responsible for disclosing information to shareholders, other investors, and other capital markets participants. We set up the Disclosure Committee which the CFO chairs, to assess the importance, necessity, and suitability of disclosure. We created an organization to oversee disclosure, centrally hold and safeguard important corporate information, and define responsibility for disclosure. We confirm the suitability of disclosure by using databases to record disclosure processes and conduct regular internal audits. The Investor Relations Department generally handles communications with shareholders and other investors. The chief executive officer or relevant executive officer may also engage in such activities as necessary. Opinions and other information obtained from shareholders and other investors are shared regularly with management and internal stakeholders. We conduct results briefings and individual meetings and collaborate with business units while endeavoring to enhance disclosure opportunities. We use our website and publications extensively and strive to improve the quality and browsability of information to streamline access to management, financial, and non-financial information. We maintain internal rules to ensure that Group executives and employees treat material undisclosed information properly prior to public announcements and to prevent insider trading. We also devote considerable attention to educating executives and employees to ensure thorough management of insider information. We refrain from engaging in individual discussions about material undisclosed information that could affect the investment decisions of shareholders and other investors because we wish to avoid selective disclosure to just some market participants. We engage in dialogue with shareholders and other investors based on facts and information that we have already disclosed publicly. We do not comment, including with regard to quantitative or qualitative information, on undisclosed matters. We prevent information leaks while preparing earnings announcements and ensure fair disclosure by maintaining quiet periods that extend from the day after a fiscal term ends through the results announcement date. In principle, we refrain during such periods from answering questions or commenting. We disclose earnings plans, capital policies, their underlying business strategies, and other forward-looking information through our medium-term management plans, annual plans, and other channels. We do this based on management's assessments of information available at the time of disclosure, such information being subject to risks and uncertainties. When disclosing such information, we ensure that we present management issues or factors that could affect future developments.